A rising name in the Neo-Prophetus guild. 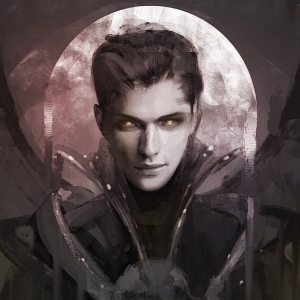 His inovations within necromancy has labeled him as the suspected next in line for the guild should anything happen to High Grim Lucious Graveburn. He started a business within Black Anchor that features Skin Grafts. He collects different pieces of many different creatures that were once living and has learned how to appropriately attach them to other creatures and keep the body from rejecting these grafts. He uses black magic to mutate the skin around the grafts and it keeps the cells from recognizing that the dead cells don’t require purging. He has a small undead goblin helper who does all the lesser maintenance and errand running that a good shop would need.